Planning an international conference call does not need to be a one-person job. Determine which tasks you can delegate to others and then seek help from your team. Holding international conference calls on a regular basis can bring your global team together and improve collaboration. However, coordinating international conference calls requires a great deal of work. Delegating some of this work can free up some of your time as well as improve participation. Use the tips below to improve your global team teleconferences. 1. Identify what tasks need to be done. Though task lists vary, some tasks are fairly common to all conference calls such as creating an agenda, scheduling the call, inviting participant’s and distributing the call’s details, recording the call and later sharing the recorded file, and keeping track of time and agenda items during the call. Once you’ve identified each task, figure out which tasks can be automated, which ones you absolutely must handle yourself, and which tasks could be assigned to someone else. 2. Ask for volunteers. A few weeks before your next international conference call, ask for volunteers to help you coordinate it. Briefly explain what you need help with and what’s involved. For example, if you need a time keeper, explain that the time keeper will use a stopwatch to time each agenda item and will provide notice when the speaker has three minutes left to wrap up the discussion. 3. Assign a different “host” team each month. An alternative to asking for volunteers is to rotate responsibilities amongst different “host” teams each month. For example, you could put your Italian team in charge of scheduling and coordinating your team conference call in January and then have your Brazilian team do the same the following month. By rotating responsibilities, each team could bring its own unique talents to the call and experience the various challenges involved in scheduling global teleconferences. With each team experiencing some of these challenges firsthand, you may find that teams become more accommodating and more invested in making the teleconference a success. 4. Ask for feedback. Efficient global teleconferences don’t happen by accident. They’re the result of careful planning and continuous improvement. Ask your delegates what they thought of the planning process. Ask them what they might do differently and why. Planning an international conference call does not need to be a one-person job. Determine which tasks you can delegate to others and then seek help from your team. Doing so provides others with the opportunity to contribute to your team-building efforts and can improve participation. It may also improve their own team communications and collaboration skills. Your team members may suggest some creative ideas that you can incorporate into your future calls as well. Meetings, whether they take place in person or are held remotely, are notorious amongst participants for taking up too much time. Whether you’ve rented a conference room or are holding an international conference call, each participant likely has time constraints. With an international conference call, each minute of your meeting impacts the meeting’s total cost as well. Plus, many participants will be calling in outside of their normal work hours, making the call an infringement on their own personal time. Managing an international conference call’s time is respectful of your participants’ time as well as economically smart. Use the tips below to keep your next international conference call on track. Hold shorter, more focused conference calls more frequently rather than “catch-all” conference calls at longer intervals. 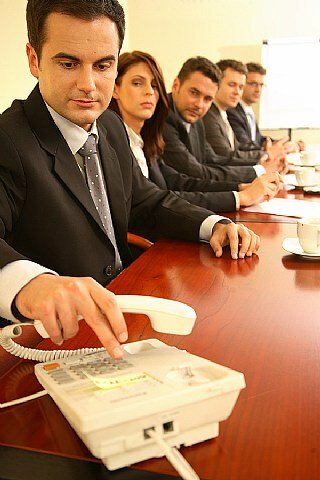 A tightly focused conference call often requires fewer participants and will have fewer agenda items. Thus, the meeting will be more relevant to those who attend, and it will take much less time than a more generalized international conference call. In addition, participants will appreciate short international conference calls that only take a few minutes each time instead of long, involved calls that require several hours of their time. Limit the number of participants. The more participants on any given international conference call, the more difficult it becomes to manage both conversations and time. Consider inviting just a handful of leaders to each international conference call and then distributing a MP3 recording of the call to others who need to know the information that was presented. Create a timed agenda. Holding short, tightly focused international conference calls requires staying on track. A timed agenda is a great way to ensure that your call doesn’t last longer than scheduled. If you’ve allotted 15 minutes to the call, then your agenda needs to reflect that. Write down each agenda item and assign a realistic time limit to each one. During the call, keep track of the time as you move through the agenda. Share your agenda in advance. Each participant should know what to expect before the conference call so that they too can prepare. Email each participant a copy of the agenda and let everyone know what’s expected of them. For example, if you need input about a recent change, let them know that’s what you’re looking for so that they can gather their thoughts and ask their teams if they have any suggestions or feedback. Start and end your international conference call on time. If you have a 15-minute teleconference scheduled and you wait five minutes for a latecomer to call in, your meeting just became a 20-minute meeting. Five minutes may not seem like much, but it is multiplied by the number of participants left waiting. Waiting for latecomers also sends a signal to those who were on time that the latecomers’ presence is valued more than theirs. Let the latecomers pay the consequence for their tardiness, not those who arrived on time. Again, you can record the call and let those who missed out catch up later. Become comfortable with your international conference call service before you use it. You may want to hold a few practice calls with a co-worker before holding your first live international conference call. This can help you avoid any time-consuming mistakes. Because conference calls are usually billed per minute and per participant, managing time can also keep your meeting within its budget. Keeping your meeting focused, following a timed agenda, being selective about who you invite, recording the call, and starting and ending your meeting on time are but a few easy steps you can take to improve your next global conference call. You can even record the international conference call to refer to later or for training purposes. International conference calling is a fast, cost-efficient, and easy-to-use method of communicating with a group of people from around the world. Commonly used to conduct business, an international conference call can be used for any number of purposes and from virtually any phone in the world. How will you use your next teleconference? Below are a few ideas to get you started. Need to build relationships with clients from around the world? An international conference call is a great way to stay in touch with new, prospective, and existing clients. Whether you want to introduce the client to a local account representative or the company’s CEO, a group phone call is a good choice for introducing various representatives to clients and helping clients get their questions answered. You can also use a global teleconference to introduce a new product or service. Preliminary negotiations can be handled over the phone using an international conference call. Once connected, all parties can state their objectives, discuss the contract’s finer points, ask questions, and present counteroffers. You can even record the international conference call to refer to later or for training purposes. Need to gather information from witnesses located around the world. Depending on the nature of the investigation, you may be able to do much of the groundwork over the phone using a global conference call. Recruiting talent from around the globe can quickly become cost prohibitive, especially if you must fly candidates in from other countries for job interviews. Using international conference calls in the early, prescreening process can drastically cut your costs while simultaneously allowing human resources and regional managers the opportunity to speak with job candidates in a group phone call. Again, the international conference call can be recorded for later reference or for sharing with others involved in the final hiring decision. As you narrow the field of candidates down, you can conduct secondary interviews using a international conference call and then fly in only your top choices. Managing a geographically diverse team is challenging as each team member may feel isolated from the group. Holding frequent international conference calls with the entire team provides a greater sense of community and it allows everyone the opportunity to get to know each other. Being able to speak with one another, brainstorm, solve problems, share ideas, and even talk about the weather can improve morale as well as accomplish other goals you have set for the conference call. From customer service and sales to sexual harassment prevention and time management training, many types of training courses can be effectively delivered using audio only. With an international conference call, the trainer can deliver the training to trainees located around the world in real-time. Not only that, you can record the conference call and use the MP3 file for future trainees. With a recorded international conference call, you can also ensure that all trainees, both current and future ones, receive the exact same instruction. Global teleconferences aren’t just for business. In fact, if you have family members located around the world, you can use an international conference call to bring the entire family together to share news or plan the next family reunion. Whether you need to coordinate a corporate retreat, charity fundraiser, or small wedding, if various partners are located outside of your country, holding an international conference call is an excellent option. By using a low-cost international conference calling service, each partner can dial into the teleconference and participate in the planning. Make sure everyone is on the same page by using group conference calls to plan the event. Many consultants and coaches use international conference calls to share their messages with a global audience. A global teleconference can be conducted in real-time, allowing participants to call in, listen to the lecture, and then ask questions. In addition, the teleconference can be recorded and sold as an informational coaching product or distributed as a free gift. Many tutors conduct “virtual” tutoring sessions using teleconferences. This can be particularly helpful to international students who need extra help in a country where live tutors are scarce. You could use an international conference call for one-on-one or group tutoring. Many lawyers use international conference calls to interview expert witnesses located around the world. With a global conference call, the lawyer, a court reporter, a paralegal, and the expert witness can all be located in different countries, yet the conversation can efficiently take place. You can use an international conference call to gather information, conduct a disposition, or get a better sense of how the expert witness responds under pressure. These are but a few of the many different ways you can use an international conference call to connect with other people from around the world. How will you use your next global teleconference? International collaboration using a conference call is a cost effective choice that allows you to accomplish many tasks without the high cost of travel. For example, you can negotiate deals, conduct training, conduct creative brainstorming sessions, get feedback, conduct research, and much more with an international conference call. Just about anything you can do face-to-face, you can do on a teleconference. However, with audio-only conference calls, you may miss non-verbal cues such as facial expressions. In addition, not all callers will recognize one another’s voices. Use these tips to enhance communications during an international conference call. Ask each participant to announce their names and departments before speaking – While you may recognize Glen from accounting’s voice, other participants might not. Asking each participant to quickly say their name and department or job role before they speak helps give context to their comments. Allow a few minutes for questions and answers at the end – At the end of the international conference call, open up the meeting for questions and answers. As you wrap up the call, thank participants. You might even leave the lines unmuted for a few minutes, allowing for a little friendly banter which builds a sense of camaraderie. Many international conference calls suffer needlessly because of telephone system quality issues. 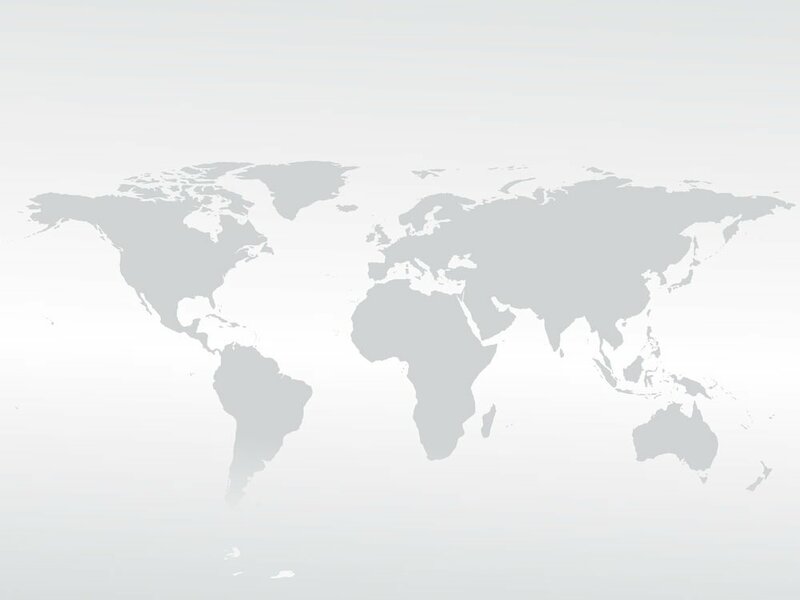 Many communications problems can be avoided by choosing an international conference calling plan known for quality connections. Conference call services have deeply penetrated into the business world and have greatly contributed to their growth. This is the reason why more and more businesses are expanding their business operations and going beyond their national boundaries without much of a hitch. Those days are history when businesses used to go with the traditional ways of carrying out their business operations. But with the advent of technical breakthroughs and the presence of so many competitors, businesses have been forced to acquire new policies and mediums through which they can cater to their clients. Outsourcing conference call services have made it easy for businesses to expand their business and conduct meetings with their international customers and associates without investing a hefty amount on any capital investment for conferencing equipment which can be significant. Instead of a growing international business spending thousands of dollars for an internal conference calling platform e.g. equipment, software and personnel, they simply outsource international conference calling to a good conference call company and pay a competitive per minute rate on a ‘pay-as-you-go’ basis. This makes for much better use of capital that could be used elsewhere in the enterprise. First and the foremost thing is that you should do a brief analysis of your conference call requirement. It will help you to avoid over budgeting. If you want to access conference call on frequent basis then there are numerous affordable plans to choose from or if you want to access conferencing as and when you want then also there are plans to meet your requirement. So decide and choose the best that suits you. Search for the best conference call provider that has a reputation of providing cost-effective yet sound services. Prior availing conference call services it is necessary to take feedback of the service provider that suites your requirement. 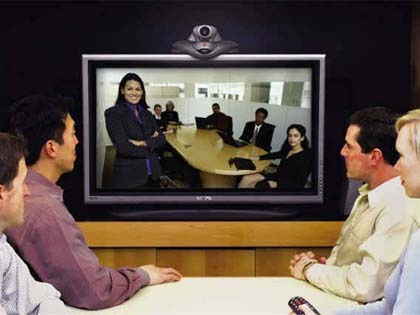 Take into consideration whether you want video conferencing services or audio conferencing. If you require audio conferencing then ask your service provider about the maximum number of participants that you can involve in your conference call. Also consider whether the service provider offer 24*7 customer support. It is necessary that you should keep the above mentioned points in your mind because these will guide you to avail the best possible conference services. In businesses there are clients, partners, senior authorities who are at distant places to take care of company’s business ventures and it is necessary for them to be in touch at regular interval through some communicative source to discuss on business issues. A company without a proper communication system cannot prosper because there would be many loopholes in conveying and delivering messages within the organization. And this could lead to some serious losses for companies. Remember an undelivered message or miscommunication can put brakes to your company’s growth. It is necessary for company to have a proper communication channel both horizontally and vertically in their structure. This is the reason why companies are opting for conferencing services to eliminate the communication gap from their company’s structure. Teleconferencing not only allows managers and authorities to conduct meeting and discuss business issues but also allows them to reach to some conclusions without having to be physically present in the same room. Click here to know what conference call services are and how they are changing the scenario for businesses around the world? Conference call service has greatly reduced the cost of travelling and conducting meeting for companies. With teleconferencing services people can interact with each other conveniently despite being at distant places. There are many service providers who cater to the conferencing need of the organizations and help them to conduct meetings and discuss issues related to their business operations. Aitelephone service is one such trusted name in the teleconferencing field which is providing quality conferencing solutions to companies and individuals from a long time. When it comes to opt for conference call services people most often look for service provider who had a sound background of delivering quality services to their clients. And this is the reason why organizations and people in USA opt for Aitelephone conferencing services. When it comes to availing services of conference call provider you must keep some important things in mind as they can greatly help you in finding a quality service provider. Do a thorough analysis of who are the best service providers? Compare price quotations to get the best deal. Take into consideration your call requirements when availing any tariff plan. Enquire about the additional features included in your plan. Get feedback about delivery and quality of service. See whether the service provider gives 24*7 customer support. These are some helpful tips that should not be ignored while availing teleconferencing services.